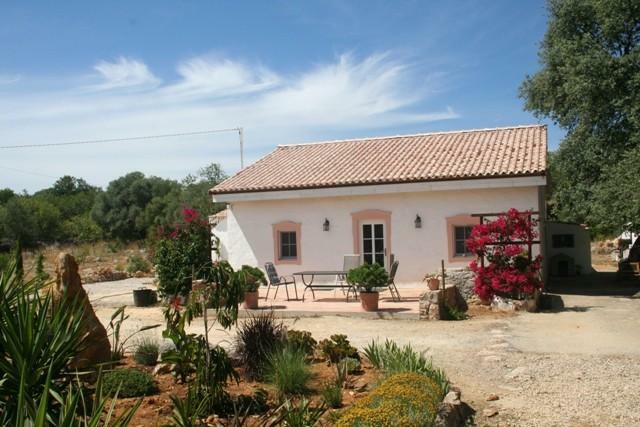 A character property with a one-bedroom guest apartment, in a quiet area to the south east of the town of <?xml:namespace prefix = st1 ns = "urn:schemas-microsoft-com:office:smarttags" />Sao Bras with lovely country views. The cottage was renovated in 2010 using high quality and eco-friendly materials. The large plot of 14.000 m? is ideal for keeping horses and has stables, an exercise and training area and several store rooms.